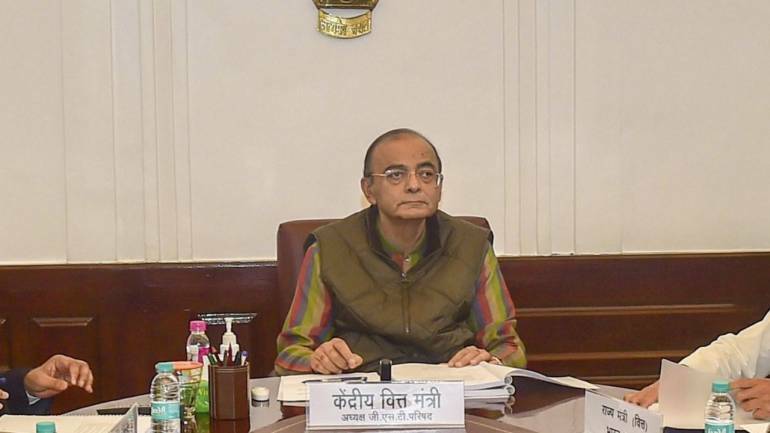 Finance Minister Arun Jaitley on Thursday assured government funding support to public sector banks and hoped that the 6 lenders which remain under the RBI’s prompt corrective action framework will soon come out of it. He said that the Insolvency and Bankruptcy Code (IBC) has been a success story and the government has maintained arm’s length distance from the processes being followed. “The government has lived up to its word of continuing to fund you in terms of capital. I am glad that several banks have recently come out of the PCA norms and I’m sure the others who remain within will also try and improve their measures with the government commitment of support to them so that we can see much healthier banking in years to come,” Jaitley said. Of the total 21 state-owned banks, 11 were put under the PCA framework by the RBI last year. Five banks — Allahabad Bank, Corporation Bank, Bank of India, Bank of Maharashtra and Oriental Bank of Commerce — have been removed from the framework this month. The 6 PSBs which remain in the PCA list are United Bank of India, IDBI Bank, UCO Bank, Central Bank of India, Indian Overseas Bank and Dena Bank. Speaking at the Indian Banks’ Association (IBA) event, Jaitley said the norms of banking have changed and now decisions are based on merit and professionalism. “I’m conscious of the fact that you (public sector banks) are working in a competitive environment and you are still bound by certain restriction. Your public and social responsibility is much higher than your private sector competitors. “In matters of hiring talent you don’t enjoy the same level of freedom that they do. Private sector banks go for campus recruitment and you can’t… And despite these obvious restraints, (you remain) competitive, large, and occupy a lion’s share of lending,” he said. He also asked the public sector lenders to consider themselves “independent” while discharging their professional and commercial functions. “It’s a discipline which both government and banks have to now accept. The Prime Minister in January 2015 had said that you (banks) won’t get any pressure from the government as far your functional independence with regard to commercial decisions. The government has lived up to its words and in this changed environment, I can see the difference in functioning,” Jaitley said. Talking about the IBC, the minister said any instance of interference from the government in the process would discredit the whole process and bring a bad name to the wonderful reform. “IBC everybody concedes has been a success story and it helped bring back Rs 2.85 lakh crore into the banking system … In an evolving society there is desire to become more ethical. Of course, the carrot part also worked that you can’t be a fugitive and get away with it. There is a law dealing with them. “The black money law made life very difficult. It is no longer safe to keep assets outside the country and now that more and more countries in 2019 are coming into the transparency and disclosure norms, I think many sins of the past are going to be disclosed,” Jaitley said. Stating that the worst is behind us with regard to the problems faced by the banking sector, he said the last 5 years will go down in history as the “turning point” in the evolution of India as a ethical society. “Therefore, the earlier regime, if I would say was a great earning experience and for all of them this one is a great learning experience. So, each one of them will have to adjust to these new norms,” Jaitley said. He said the government had to follow the “carrot and stick” policy to bring those who thought can live in violations in perpetuity into a discipline. “In the banking sector the whole idea that if you don’t pay back you can get away with it, then it is banker’s headache and when you get money from banks you manufacture your own equity out of that money, round-trip it and base your investment on that basis — this cant be the new normal and that’s why you have to breakaway from system,” Jaitley added. Since 2014-15, the government has infused nearly Rs 2.5 lakh crore in PSBs till February 2019. During the period these banks have mobilised Rs 66,000 crore by raising fresh equity capital and through monetisation of non-core assets.